lindsays lovely candles N crafts! i'd like to take this time to shout out about swap workshop! It is a great website where crafters trade their crafts and a swap can never be turned down! It is based on a points system, and their are hardly any fees. i have 5 things on the way so far and i can't wait to get them! Take a look at our introduction and when you join you will receive free points when you list your first 3 items! In order to get more people following me, i am going to have a giveaway!!!!!! you will be winning a sample gift pack!!! !It will contain some or all of these things. something made in paper, (cards, tags, etc), a candle, some soaps, something knitted, clay charms. The drawing will go untill i have a total of 100-150 followers! These are the ways you can be entered into the drawing. 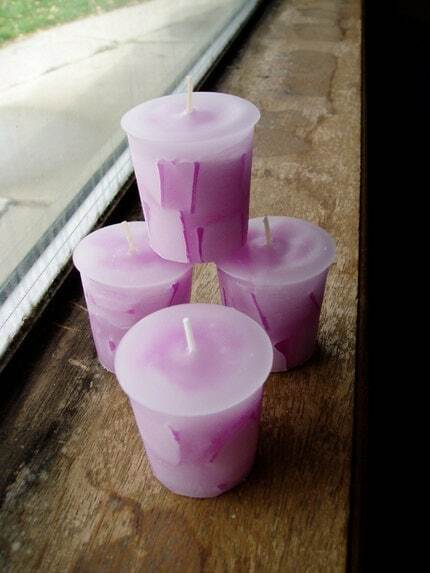 For the price listed, you will get 1 votive chunk candle. 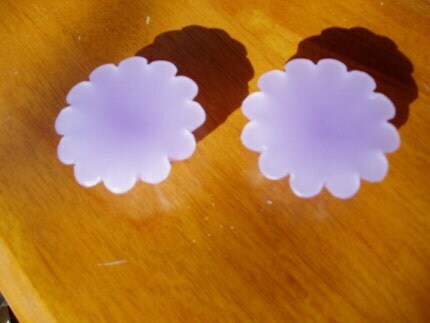 Candle is votive size ( 2 x 2) and are purple and white chunks in color.The scent is love spell (the scent from victoria secret). 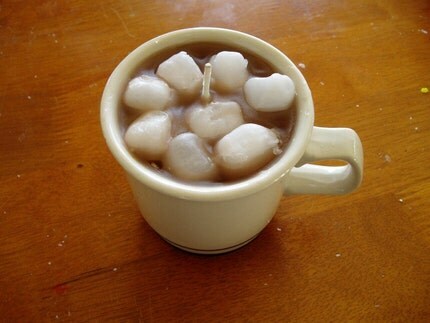 You will get 1 hot cocoa candle. It is in a real mug that has blue rings around the bottom. It smells just like hot cocoa, complete with marshmallows on top! 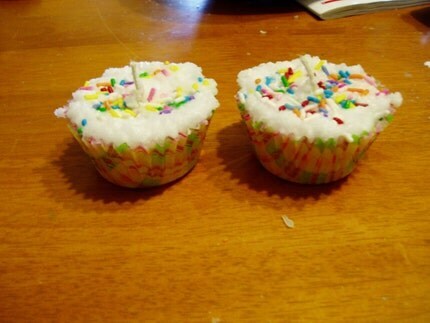 For the price in my shop you get to choose 1 cupcake candle. 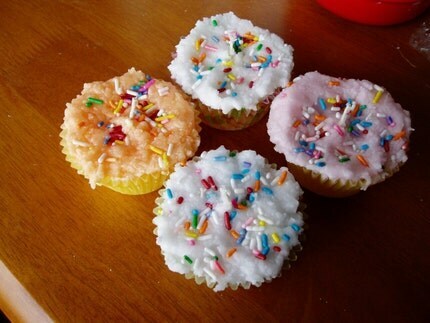 I can make them in buttercream, strawberry, chocolate w/ buttercream frosting, or a delicious creamsicle. I can also make a bigger order for you. They are great to use for birthday party favors. I will also give you a good deal for larger batches. I can also do other scents for you. Be sure to check out my other great items while you are there! 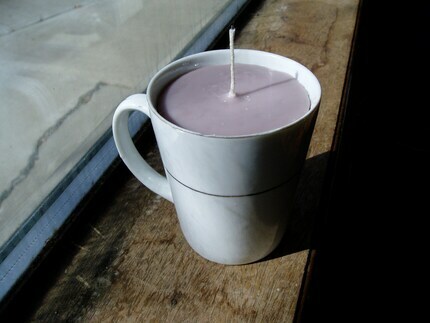 My shop has mainly been full of wonderfully scented handmade candles. I am also starting to venture into other crafts, such as cat toys and thank you cards!